The Nashville Real Estate market is HOT! In fact, pretty much EVERYTHING is HOT in Nashville these days . . . even the chicken! What does this mean to Home Buyers and Sellers? With @ 100 people moving into Middle Tennessee every day of the week, an extremely appropriate question is: Where will they all live? Many are renting apartments as relatively short term (1-2 year) solutions, and the developers are helping them out by building LOTS of apartments. In fact, @ 2/3 of the construction cranes you see in the city are hoisting materials for "mixed use retail and apartment buildings". For those folks who want to buy a house or condominium, rest assured that the developers and builders are running full tilt to meet as much of the demand possible. Most of this "For Sale" residential construction in the city is "in-fill tall skinny" construction. Builders buy a single family house, scrape it off the lot, and replace it with 2 very skinny and TALL houses. Buying or Selling a house is a BIG thing for most folks. Most of us don't do it often, and it's a HUGE financial move in addition to the more obvious significance that it will represent CHANGE. When we change where we live, EVERYTHING moves. - Relationships - Family, friends, work associates, neighbors, hair dressers, auto mechanics . . .
- Jobs - Whether it be a career change, relocation, promotion, or retirement, occupational change in and of itself will rock your world. - Lifestyle/Recreation - Shifting from urban to suburbs or rural - Condo to House - or any combination - a new location presents a whole new world to explore. - Dreams - We all have them, and many of them correlate to where and how we want to (or need to) live - Dream fulfillment is a GREAT reason to sell or buy a house. How much is too much communication when buying a house? There is NO such thing as too much communication throughout a real estate transaction. While the process of buying and/or selling a house ain't rocket science, it involves a minimum of 42 people and myriad moving parts. Even the smoothest of deals can go wacky in the blink of an eye. Think about the mystical reality that when a Buyer and Seller come to terms on a house sale, it Opens a Space for 42+ people to participate. All of these folks have the same goal . . . to CLOSE the transaction ON TIME! Each of these people has a unique and very important role, and timing is of the essence because the contract prescribes a defined series of tasks/events and when they must be accomplished. 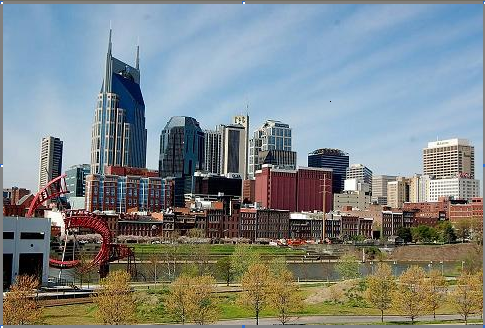 It's no secret that the real estate market throughout Nashville and Middle Tennessee is HOT! In fact, Nashville's "IT City" status has given rise to an unbelievable influx of people (guestimate is in the 100 people per day range), and all these people gotta live SOMEWHERE, right? The developers and builders are hard at the task of building residences (Apartments, Condominiums, Single family houses, and commercial office and retail space to serving this burgeoning population. Their goal is to build as much as the governmental and neighborhood authorities will allow. The ultimate quest is increase the density. How many residences can we fit per acre of land? As we "run out dirt" in the popular areas thereby approaching maximum density, prices rise.